Cracked or pushed in basement walls? 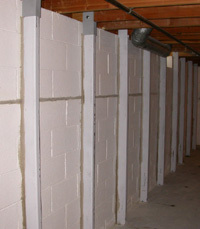 Professional basement repair at a reasonable price. Established in 1980. With over 39 years of experience you will get the best service. Our sales are straight forward, giving you an analysis of your problem, as well as a written estimate. There are no fake discounts and no arm twisting. Our structural guarantee covers “inward movement of the walls”. We do not exclude “sub-soil movement”. 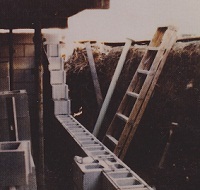 It is the sub-soil that creates pressure against the walls, causing them to fail. Make sure you check the wording of the guarantee. 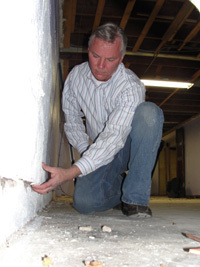 We can offer a lifetime guarantee on structural repairs through Wisconsin Association of Foundation Repair Professionals (WAFRP). More than just basement wall repair. 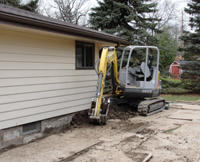 We also provide foundation and drain tile independent inspector services, as well as presentations to trade groups.